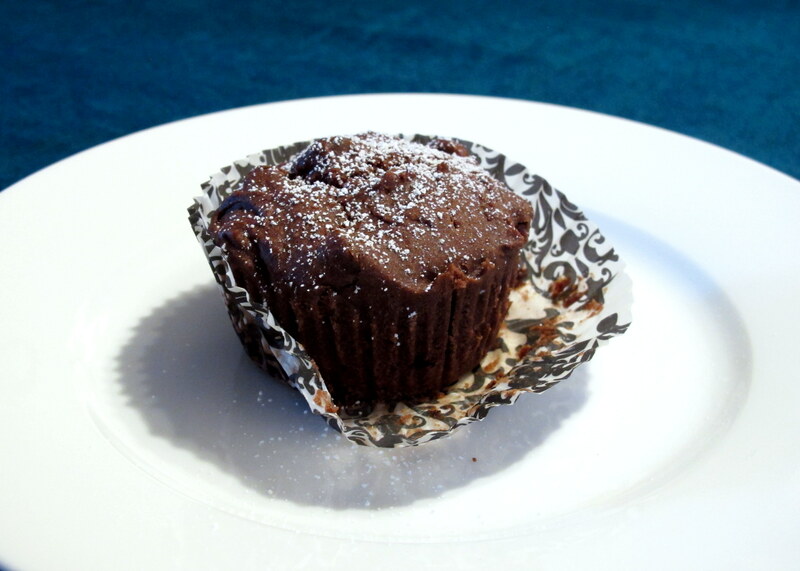 These chocolate chip muffins were an experiment for Evgeny – one which thankfully proved successful! After I made a batch of banana nut muffins, he was eating them and adding in chocolate chips separately; two per mouthful. I asked him what he was doing and I was told that all muffins should have chocolate chips, no exceptions. You know the saying, “Happy wife, happy life?” The same holds true for husbands (or any partner), minus the catchphrase. Well, this is my answer to that. He won’t need to add any extra chocolate to these! And keeping with that theme, these would go down a treat on Valentine’s Day and earn you some serious brownie points… chocolate brownie points… Mmmmm, brownies. Monash released an update a few months ago that states that 3 tsp. (1 tbsp.) 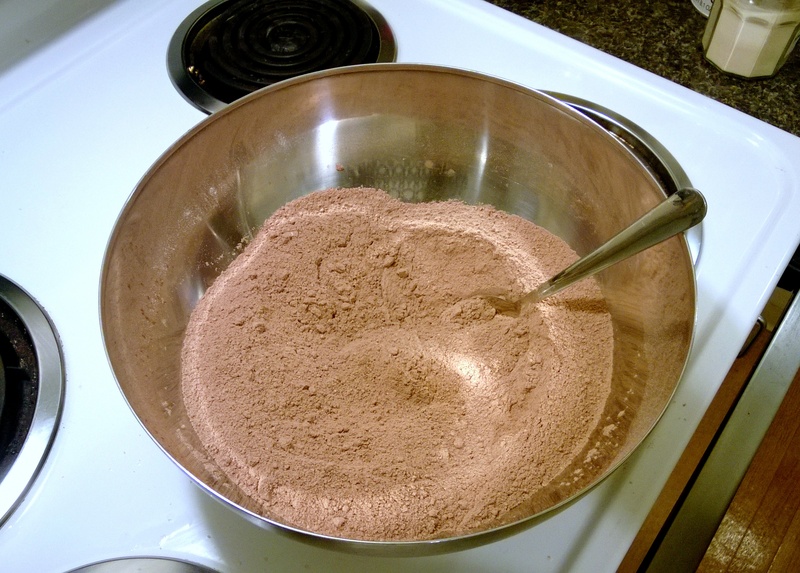 of cocoa powder are low FODMAP. If you put in the full 6 tbsp. of cocoa powder, then you only get 1/4 tbsp. 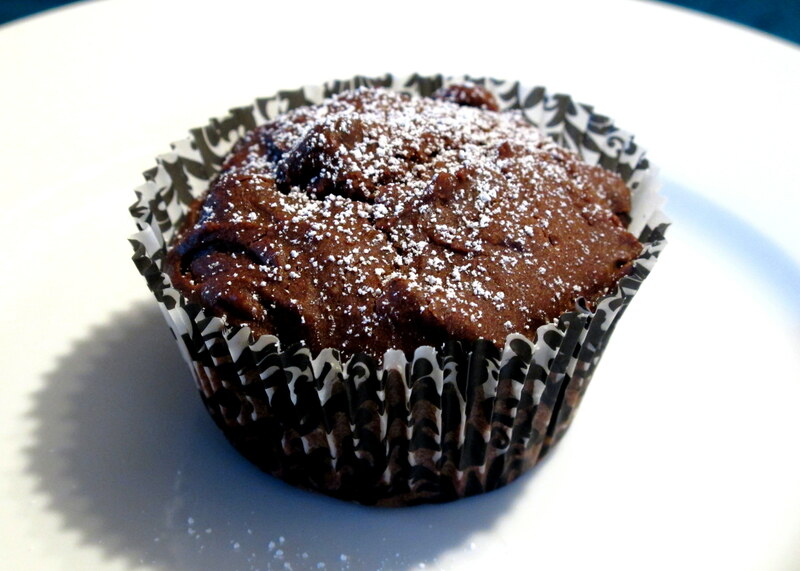 of cocoa powder per muffin. You’re sweet! Buttermilk isn’t lactose free but you can replace it with LF milk with a dash of lemon juice added – alternatively, just use a dairy free milk of your choice. 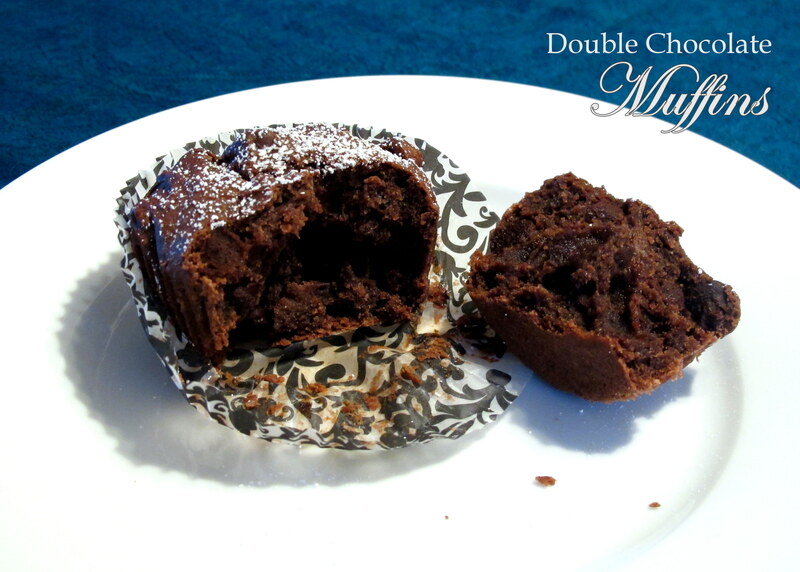 I used dark chocolate chips in these muffins but you can use any type you like that you can tolerate. Almonds are listed as low FODMAP in servings of 10 nuts or less – the 1/2 cup spread over 24 muffins is well within this. I am loving how well virgin coconut oil creams with sugar – so much better than normal butter – but of course, either works well in this recipe. Preheat the oven to 180 C/350 F and line two 12 hole muffin trays with patty pans. 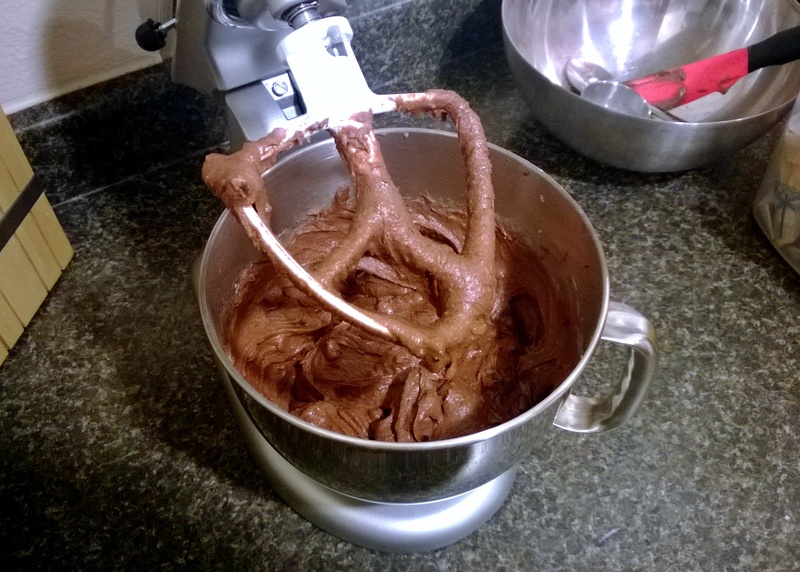 In a large bowl, sift the plain flour, almond meal, cocoa powder, salt, baking powder and xanthan gum and set it aside. 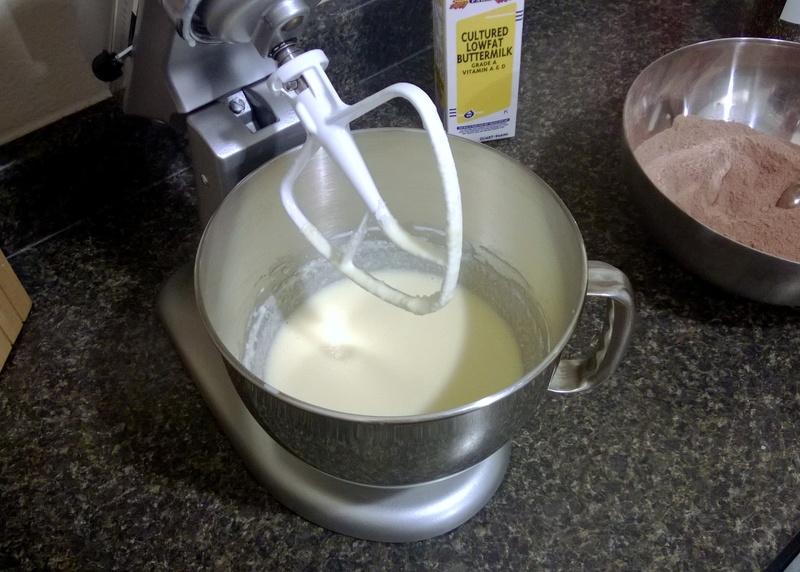 In the bowl of your stand mixer, cream the coconut oil (or butter) and sugar for 2-3 minutes on a medium speed. Add in the eggs and continue to beat on medium for another 203 minutes, until the mixture is completely smooth. Next, add in the vanilla and beat until combined. Now add the white wine vinegar to the buttermilk and add the buttermilk mixture in while continuing to beat on low, alternating with the dry ingredients – 1/4 of each at a time. When all the ingredients are in the stand mixer’s bowl, beat on medium until they are thoroughly combined and then switch to a low speed before adding in the chocolate chips and beating for another minute. Place a lightly heaped 1/4 cup of the batter in each and bake for 20 minutes – rotating the trays from top to bottom halfway through to ensure even cooking – if you have a fan forced oven you will not need to do this… lucky you! 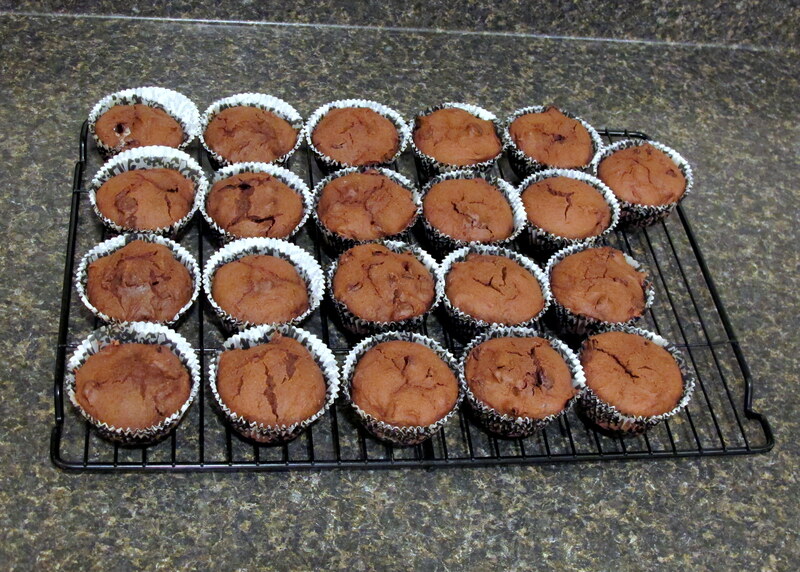 Let them sit for 15 minutes before placing the muffins on a cooling rack to come to room temperature. To serve, either dust them with icing sugar or make a chocolate ganache icing for an extra rich chocolate hit. This entry was posted in Cakes, cupcakes & scones, Sweets and Desserts and tagged cake, chocoholic, chocolate, chocolate chip, cupcake, dessert, double chocolate, FODMAP, FODMAPS, food, fructose friendly, fructose malabsorption, gluten free, happy husband, happy wife happy life, home-cooked, homemade, husband, love, low fructose, muffin, romance, sweet, valentine's day, vanilla, vegetarian. Bookmark the permalink.